The bench also questioned why investigations were dragging on even after 24 years and said it was high time the cases were finished. 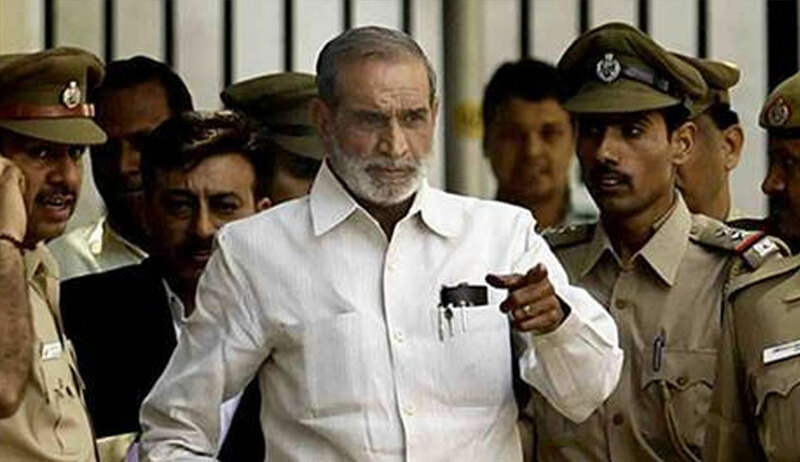 A two-judge bench of justices A K Sikri and Ashok Bhushan of the Supreme Court today issued notice to Congress leader Sajjan Kumar, accused in ’84 anti-sikh riot case, on a petition by the SIT challenging the anticipatory bail granted to him by the Delhi High Court in February this year. The bench also questioned why the investigations were dragging on and said it was high time the cases were finished. Justice Anu Malhotra of the High Court while granting anticipatory bail had said that as per the records, Kumar was available throughout the investigation. “The available records indicate that pursuant of the orders (of the trial court), Sajjan Kumar has made himself available for investigation and it has been submitted on his behalf that he shall continue to do, HC had said. “When the High Court gave anticipatory bail it said everything will be tested during the trial of the case. But it then also remarked there was no evidence. How is this possible. This is totally against the established procedure” ASG Maninder Singh who represented the SIT told the SC bench. The Congress leader was granted anticipatory bail by a trial court on December 21, 2016 in two cases of killing of three Sikhs during the riots which had occurred after the assassination of then Prime Minister Indira Gandhi. Kumar had submitted that his name was never taken earlier and it was a case of fresh allegations coming up after 32 years which was not allowed. The two cases filed against Kumar fall in the jurisdictions of Janakpuri and Vikaspuri police stations in West Delhi. The SIT had been constituted by the Union Home Ministry in February 2015 to reinvestigate 'serious cases' filed in Delhi relating to riots that followed the assassination of Indira Gandhi.